Whether it is the fact that Valentine’s Day is this weekend or that people seem to be talking about what they are “giving up” for lent, there’s no hiding the fact that chocolate is in the air. 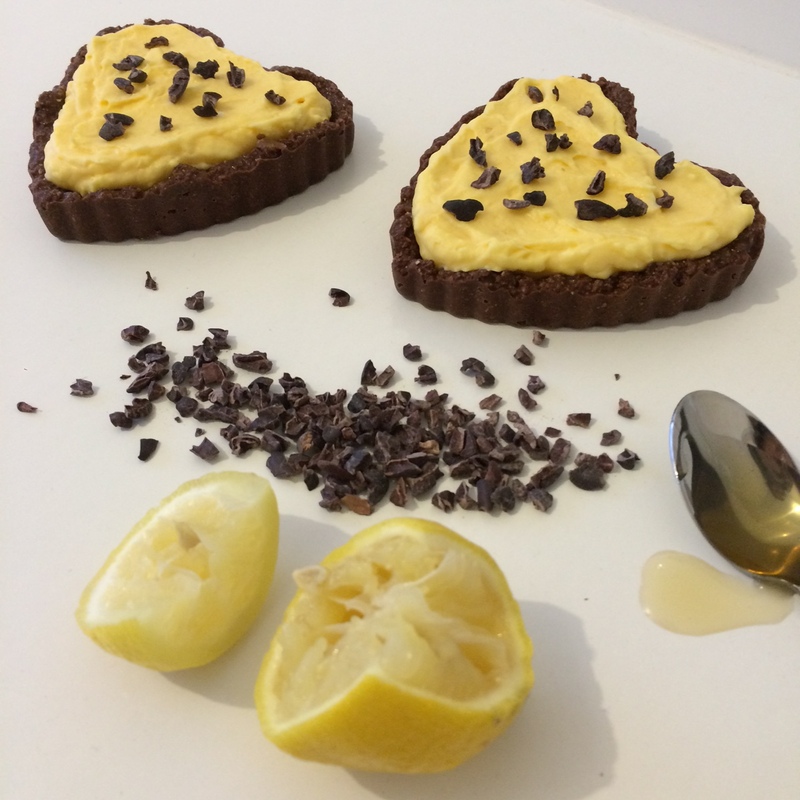 These heart shaped chocolate lemon curd tarts are the perfect raw Valentine treat.The perfect combination of sour and ‘tart’ (pardon the pun) mixed with sweet without the added tonne of sugar or nasties. This lemon curd is so easy and really tastes amazing. It is really tart and lemony but is super creamy with a dash of sweetness! 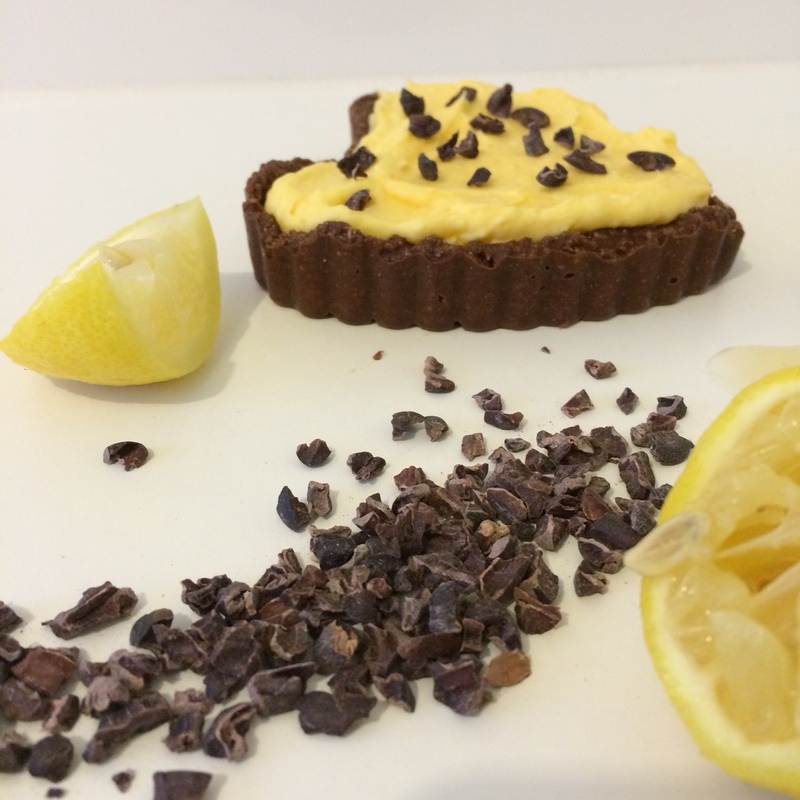 Combined with these awesome cacao coconut tart bases – it is a match made in heaven. 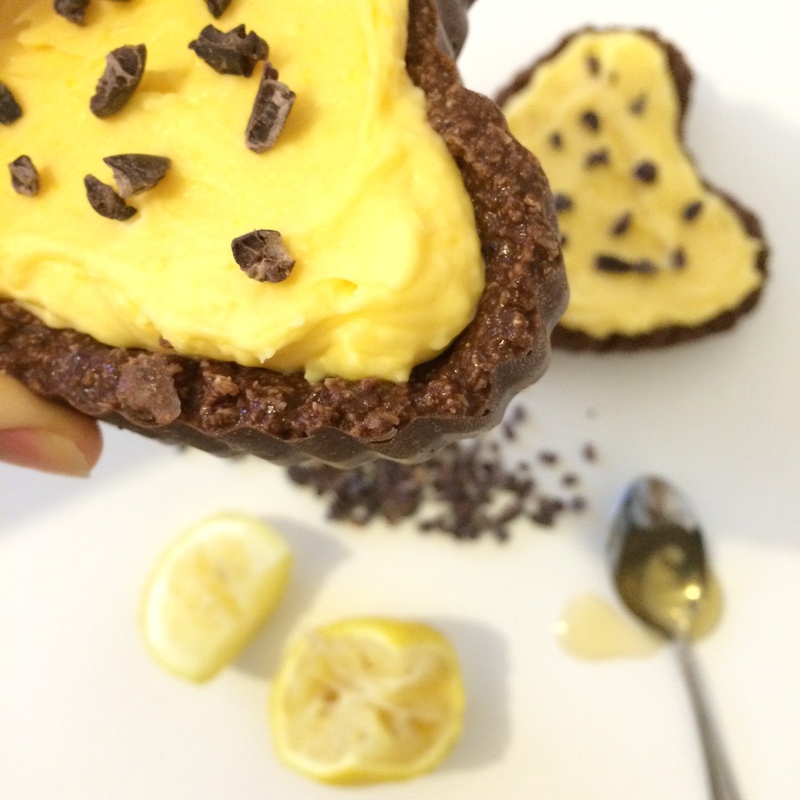 Chocolate and lemon? Who knew? TART BASE: Place all ingredients in a food processor and whizz until combined. 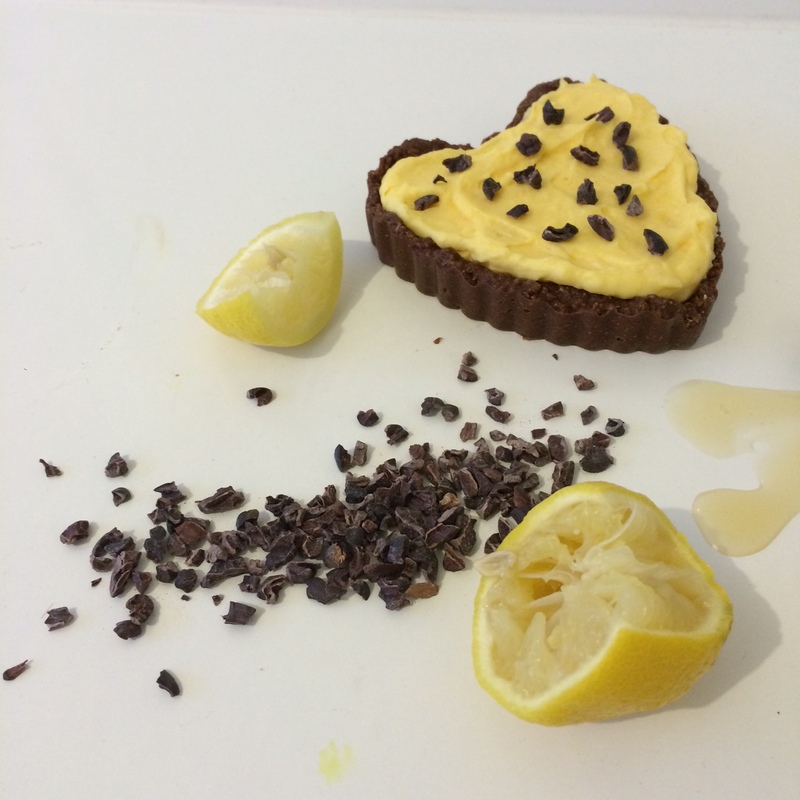 Press into mini tart bases (I have used heart shape ones but round will do too) and place in freezer to set. LEMON CURD: Melt butter/oil on the stove at a medium heat. Add the lemon juice and stevia/RM syrup. Add the egg and yolks and whisk until well combined. Reduce the heat and keep whisking for 5 minutes or until curd starts to thicken. You DO NOT want to over cook the eggs or you will have lemon flavoured scrambled eggs in an instant. So lift off the stove when needed if it gets too hot. Set aside. When the curd has cooled pour into each tart base evenly and top with some cacao nibs (or desiccated coconut) Place in fridge to set until ready to serve! The perfect amount of bitter rich chocolate goodness with a sweet and sour citrus curd. Perfection!!! !